Batman: Arkham Origins game will be released in a month and the developers are looking for every possible way to draw our attention to their action-adventure. This time their target audience are the owners of the current generation of Sony console - PS3, - for which an exclusive pack with additional game content was announced yesterday. 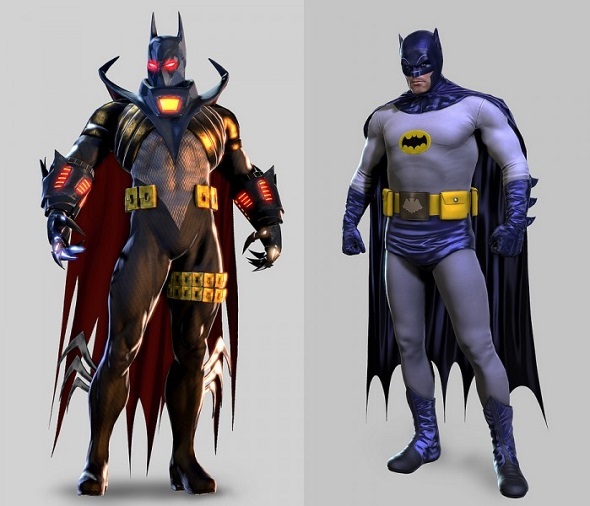 Thus, this DLC is called The Knightfall Pack and includes two exclusive costume for Batman (Classic Tv Series, Knightfall), images of which you can see below, and five game maps (Azrael Does Not Protect, City on Fire, Venom Connection, Tuning Point, No Rest For The Wicked) for two different modes. And in order to visualize all these wonderful things, offered in The Knightfall Pack, Warner Bros. Games released new Batman: Arkham Origins trailer, which is presented below. In addition, Michael McIntyre, the gameplay director of Batman: Arkham Origins, said that in spite of the many rumors that the game will be released for next-gen consoles, the project isn’t being developed either for PS4, or for Xbox One. The reason for this decision is very simple - the developers did not want to be sprayed on all platforms at once, as the game’s development ​​for next-gen consoles would require separate attention and would take a lot of time. Batman: Arkham Origins game comes on October 25 for PC, PS3, Xbox 360, Wii U.